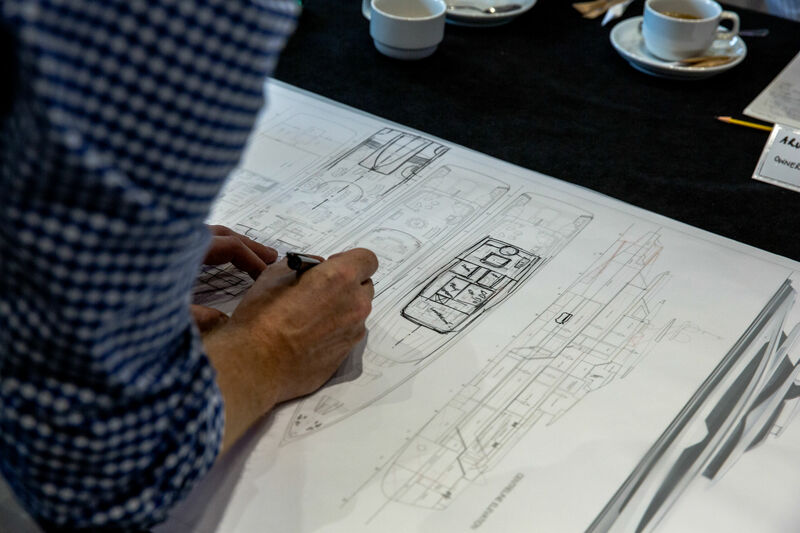 Luxury knows no bounds on board a Heesen yacht, as DesignCurial discovered at a workshop hosted by the manufacturer, in collaboration with London–based Winch Design. Celebrating its 40th birthday, Dutch yacht manufacturer Heesen has partnered with Winch Design to create the Avanti concept. Described by Heesen director of sales and marketing, Mark Cavendish, as a “pocket mega yacht” when it debuted at last year’s Monaco Yacht Show, the 66 metre vessel puts family and relaxation at the heart of its design. Its raised pilothouse maximises privacy for its owner, as well as offering a 180 panorama view of the ocean below; lounges on all three levels emphasise a distinctively communal sense of luxury. 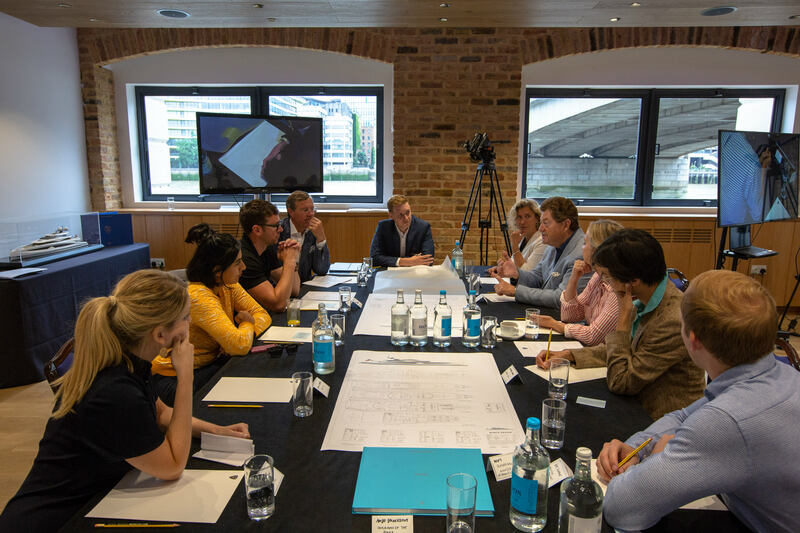 To experience the first meeting that a prospective yacht buyer would have with Heesen, DesignCurial and other guests were invited to a recent workshop hosted by the manufacturer, and Winch Design, where we assumed the roles of a wealthy family. 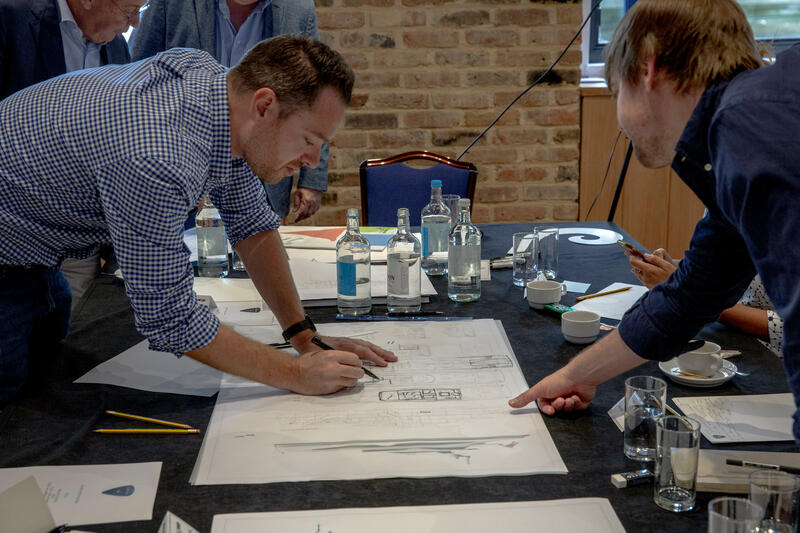 DesignCurial took on board the personality of a 21 year old 'party boy', the son of the yacht owner, and met with Heesen CEO Arthur Brouwer and a designer at Winch, Jake Edens, at the workshop. Here - as part of a family of four including a ‘tech billionaire’ and ‘former Olympic Swimmer’ - we each expressed what we wanted from our hypothetical vessel within the Avanti concept’s design frame. On board the Avanti, there is plenty of space for unwinding; the yacht’s 11 metre wide salon and large main deck provides the sort of spaciousness that one would expect on a much larger vessel, and it packs in the amenities. Guests can enjoy a gym, Jacuzzi, pool, and a range of other features that can be worked into the model. In fact, the yacht has been designed for maximum customisation– a client can ask for anything that they want from the type of hull to the cutlery. Sat down with Heesen and Winch, the process of customisation began to take place. 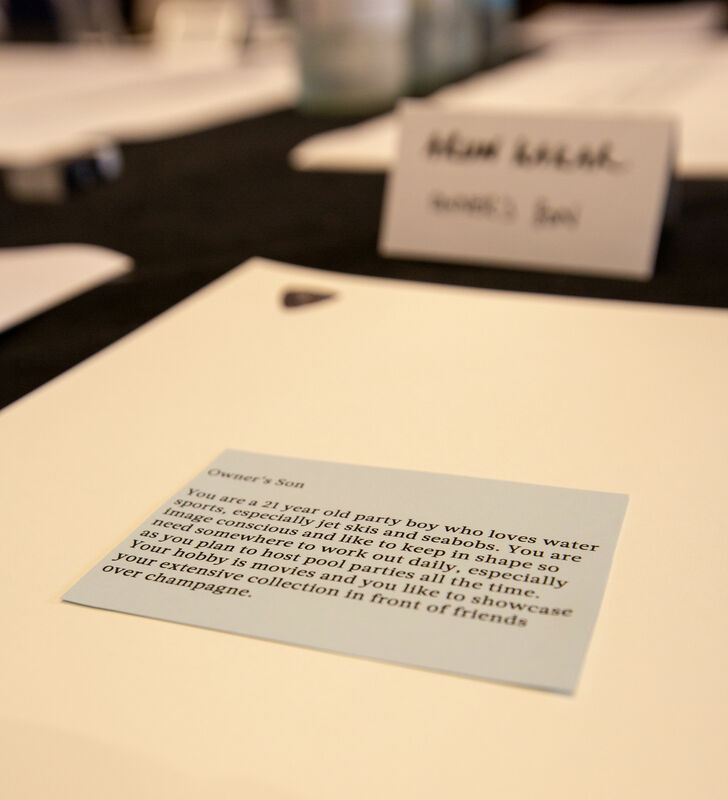 Requests included a laboratory for marine biology experimentation, yoga areas, two swimming pools (one of which was at record size), and a litany of other demands to pack in the contrasting lifestyles of each family member. Compared to the somewhat tamer demands of the family, DesignCurial’s party boy demanded a larger gym; two cinema screens (one indoor and another outdoor); a collection of water toys including jetskis and water slides; and a beefy sound system/dancefloor set-up for hosting parties. 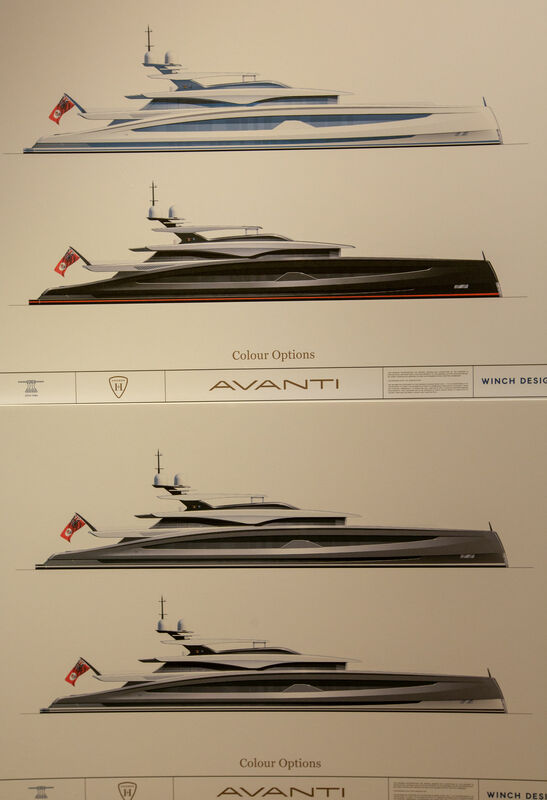 As we discussed our demands with Brouwer, a designer from Winch was sketching the rough outline of the Avanti, incorporating our various and colourful demands into the blueprint. Very little of what we said was rejected, no matter how audacious we thought we were being – we could play golf on the corners of the aft (with golf balls that dissolved into fish food), have separate Jacuzzis, and even an intuitive voice system working across the vessel. From a client’s first meeting to their yacht’s first departure, Eden says the Avanti takes around three to four years, meaning that following current trends is a tricky game for designers. “You can follow trends to a degree, but it shouldn’t drive the design,” he says. “There are loose templates that you can use, if something is from a classic or art deco period for example – it’s an era, not a trend, and is always going to last.” That’s not to say that certain features aren’t catching on. Eden mentions that awareness from younger buyers on climate change issues - themes that go beyond trends – have influenced design concerns. As concerns over environmental impacts become more pointed, hybrid engines are set to emerge as a major part of yacht designs in the future. Heesen’s 50 metre project, Nova, became the first yacht with a fast displacement hull to incorporate hybrid propulsion when it debuted last year. As well being able to draw off electric and mechanical diesel sources for increased efficiency, the Nova hybrid makes very little noise - it’s as silent at anchor as it is when it’s cruising at speeds of up to 9 knots. Changes in technology have, unsurprisingly, led to new innovations and increased flexibility in yacht design, notes Brouwer. After our meeting, Winch Design was - remarkably - able to incorporate every one of our demands, raising the pilot house even further to add another tier to the yacht, which would incorporate the features we demanded. The finished result feels very connected to our assumed personalities.